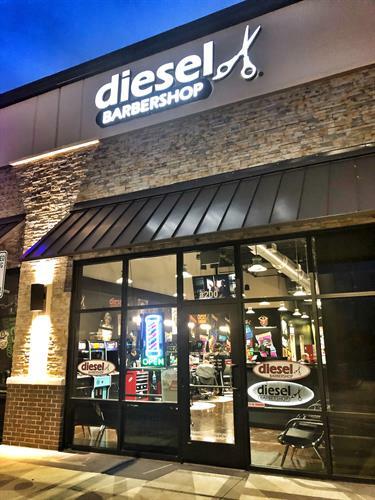 Diesel Barbershop is the modern-day version of the vintage corner barbershop and appeals to what today’s men and boys want in a haircut experience. It offers a more masculine atmosphere with a “no drama, no gossip” attitude and barbers and stylists who are exceptionally trained and talented. They know how to cut a good head of hair, as well as give amazing customer service. We are a refreshing sanctuary for guys: part barbershop, part salon, and part arcade. 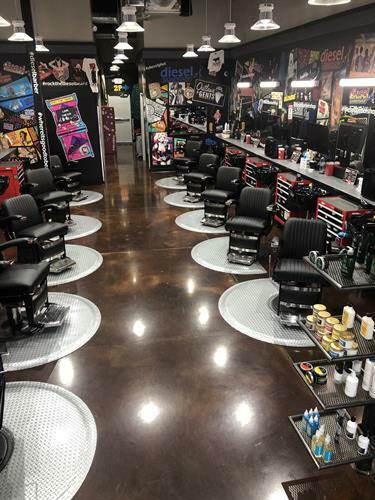 Our customers can watch sports, play video games, listen to music, shoot the breeze, and enjoy a cold beverage–all while getting a haircut, trim, shave, scalp massage or brow wax. From the basic Clean Up to the Full Service, the result is an awesome haircut experience for men, boys, and women who sport masculine styles. Go to the link https://tiny.cc/dfwdiesel Enter name and email. Follow brief instructions and you're set! Thank you in advance for sending great barbers/cosmos to us.